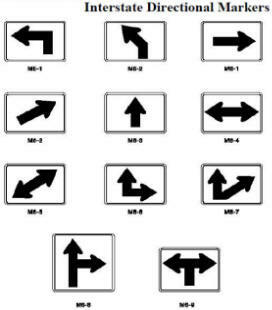 For most guide signs, the legends are so variable that a standardized size is not appropriate. The sign size is determined primarily by the length of the message, and the size of lettering and spacing necessary for proper legibility. 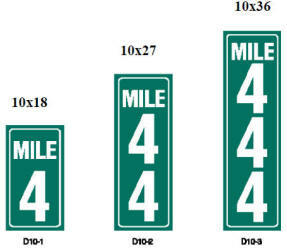 However, for signs with standardized designs, such as route signs, it is practical to use the standard sizes that are given in the "Standard Highway Signs" book. P&M Signs provides you with custom quotes to meet the Manuel on Uniform Traffic Control Devices standards and meets all Federal, State and local specifications. Please call us for a custom quote to fit your individual needs.